GOOD NEWS : Children Who Don’t Know What Snow Is Can Now Ski In Summer! GLOBAL WARMING’s infallible wrecking ball – CO2 – brings summer snow to Europe, North America, Canada, Japan and even Saudi Arabia! While it is still summer in Europe, temperatures dropped over 15 degrees and dipped into the negatives in less than 24hrs. Germany’s highest peak, The Zugspitze – at 2962m above sea level – recorded 25cm of snow whilst thermometers hit negative 7 degrees. Although skiing remains possible across half a dozen glacier dependant ski fields throughout Austria, Italy and Switzerland, the snowfall came just days after these areas were recording temperatures in the 10’s and 20’s, with parts of Germany expecting temperatures to reach 30 degrees by mid-week. The result of the cold front that swept across many of these resorts and throughout Central Europe is perhaps best summed up in the below images… Feast your eyes and enjoy! Five U.S. Olympians will be on Capitol Hill Wednesday to brief lawmakers on how climate change is impacting winter sports and recreation. “We still have a chance to be able to kind of salvage whatever is left of our winters, and kind of get back to a more sustainable way of life,” said Arielle Gold, who won a bronze in the halfpipe snowboard event in the PyeongChang 2018 Winter Olympics — and will be on Capitol Hill on Wednesday. Gold — along with cross country skier Jessie Diggins, freestyle skier David Wise, biathlete Maddie Phaneuf and alpine skier Stacey Cook — are expected to highlight climate solutions they’d like to see implemented. A recent study by a team of researchers, led by the University of Waterloo, found that climate change poses a threat to the Winter Olympics — and that by the end of the century, only eight of 21 sites that have hosted the Winter Olympics in the past will have temperatures low enough to host again unless greenhouse gases emissions significantly drop. “The climate in many traditional winter sports regions isn’t what it used to be, and fewer and fewer places will be able to host the Olympic Winter Games as global warming accelerates,” Daniel Scott, a professor at Waterloo, said in a January news release on the study. The Paralympics is also particularly vulnerable, according to researchers. “The traditional scheduling of the Paralympic Winter Games, approximately a month after the Olympic Winter Games, poses additional climate challenges as temperatures are warmer and the probability of rain instead of snowfall increases in most of the host locations,” Scott said. The briefing Wednesday follows the introduction of House Resolution 825, which supports policies addressing the causes and effects of climate change and recognizes its impact on outdoor recreation. IT’S Been A Bad Winter All Over – Snow In Japan 56 Feet High! With epic ‘cold’ weather events like this, it really is as if the more the global warmies yell “Hottest Year Evah”, the more Mother Nature flips them the bird! You think we had a bad winter here in the USA? 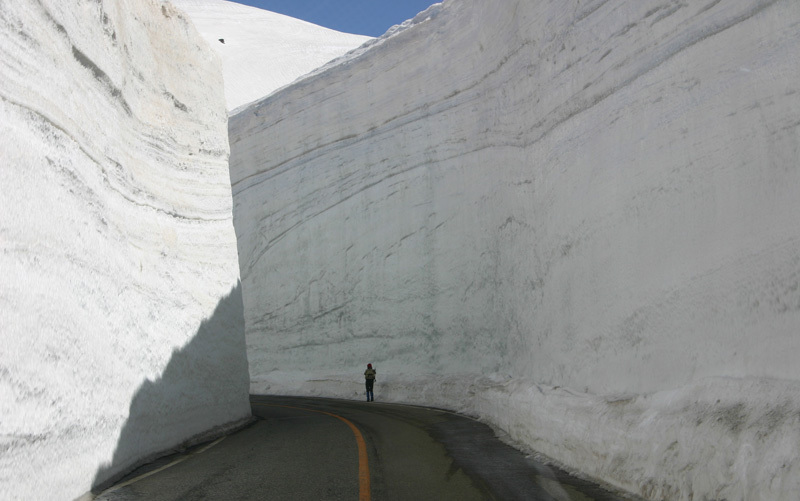 Look at Japan where they have walls of snow 56 feet tall (almost the height of a 6-story building). 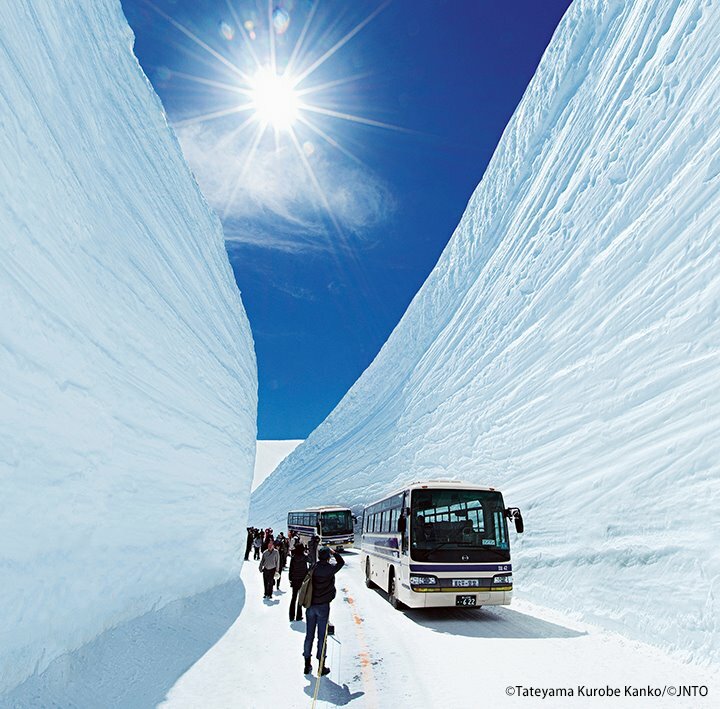 There’s an avalanche of tourists coming to the Tateyama to see the walls of snow. This spectacular mountain route, reopened on Sunday after being closed for five months during the winter, expects to receive a million visitors. The Tateyama Kurobe Alpin Route is a major tourist attraction in Japan. These large white walls are located in Murodo, at the highest point of the route at an altitude of 2,450 meters and are known as “yuki no otani”. Another mystery in ‘settled’ climate science. Experts now say they ‘acknowledge that the Antarctic is an important factor in climate change, but still a poorly understood one’. Snowfall is arriving on the land mass while ice is drifting into the sea – as usual in that part of the world. What is needed is accurate data before reaching for the alarm bell. 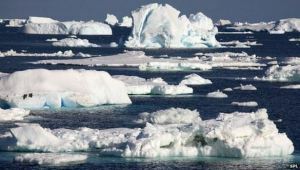 Previous climate change models predicted that global sea levels would rise by a meter by the year 2100 due in part to melting Antarctic ice, but those estimates have proven to be flawed. From DARTMOUTH COLLEGE and the “snowfalls are a thing of the past” department. HANOVER, N.H. – December 19, 2017 – Snowfall on a major summit in North America’s highest mountain range has more than doubled since the beginning of the Industrial Age, according to a study from Dartmouth College, the University of Maine, and the University of New Hampshire.